Jesus and his disciples were caught in a storm out on the water in a small boat—not the perfect place to be. Many of the disciples were fishermen who knew that the Sea of Galilee was renowned for this type of storm. More often than not, things did not end well. Though having been with Jesus for some time, the storm caused them to panic. Jesus though, was sound asleep, but when awakened, did not panic but rebuked and stilled the storm. It is a pretty simple lesson for us. We are not in control; Jesus is. He can rebuke the storms in our lives if we will trust in his ability to do so. Even if the storm seems to rage on forever, if we hold on to Jesus, we know we will survive. I believe that God gets us through the storms of life as we look to him in faith for support. We need to relax and fully put our trust in him, rolling with the waves, and keeping our focus on God instead of the storm. 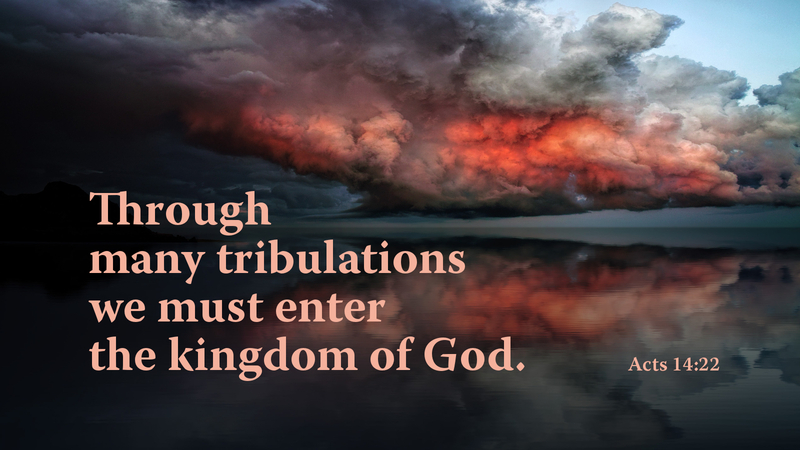 Prayer: Lord, when the storms of life come upon me, help me trust in you and focus on you. Amen. Being in a storm on a ship can be rather daunting, especially if the ship can’t be controlled. Even our Navy warships can be tossed about if it is not on a good course. As Christians, our ship must always have an accurate course that points to Jesus. He will be our steadying factor, even in the worst of storms we may endure.